Yes, you read it right. Eight sets have been erected in different parts of Chennai for Vikram’s upcoming film ‘Iru Mugan’, directed by Anand Shankar of ‘Arima Nambi’ fame. Chiyaan Vikram is now on the relentless run of continuously shooting for his project 'Iru Mugan', which features him in the role of an undercover agent. Nayantara and Nithya Menen aren't playing the usual roles of glamorous approach, but are essaying the role of cops alongside Vikram, who has travelled all the way to Malaysia for uncovering a mystery. Two schedules of the shoot are already over and the third will start from March 21. “It will happen at these eight sets. Scenes involving Vikram and Nayanthara will be shot,” sources said. A song will also be canned as part of the schedule. “Composed by Harris Jayaraj with lyrics by Thamarai, the romantic number will have choreography by Brinda,” they added. 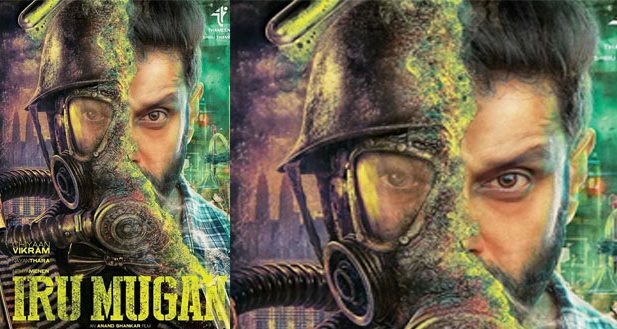 Tipped to be a science fiction thriller film, ‘Iru Mugan’ has Vikram in two different roles.Produced by Shibu Thameens (of ‘Puli’ fame), the film has cinematography by R D Rajasekhar and editing by Bhuvan Srinivasan.